(a) Flying Branch. 20 to 24 years as on 01 Jul 2019 i.e. born between 02 July 1995 to 01 July 1999 (both dates inclusive). 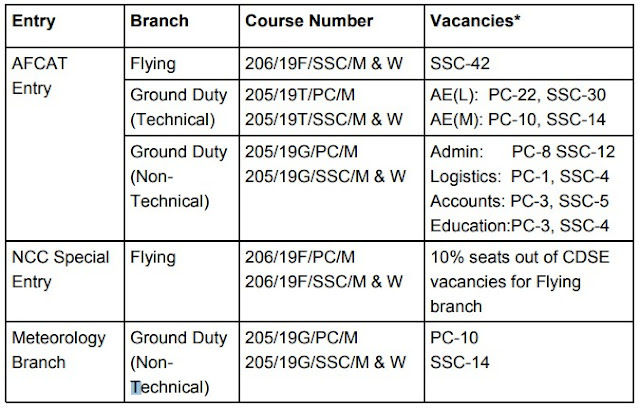 Upper age limit for candidates holding valid and current Commercial Pilot Licence issued by DGCA (India) is relaxable upto 26 years i.e. born between 02 July 1993 to 01 July 1999 (both dates inclusive). (b) Ground Duty (Technical/Non-Technical) Branches). 20 to 26 years as on 01 July 2019 i.e. born between 02 July 1993 to 01 July 1999 (both dates inclusive). 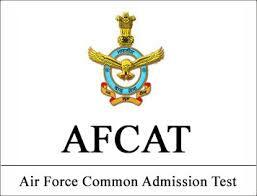 Online testing will be conducted for AFCAT entry at various centers. Candidates registering for AFCAT entry will have to pay an amount of Rs. 250/- as examination fee. However, candidates registering for Meteorology entry and NCC Special entry are not required to pay. Details of conduct, examination centers and mode of payment are available in the notification.